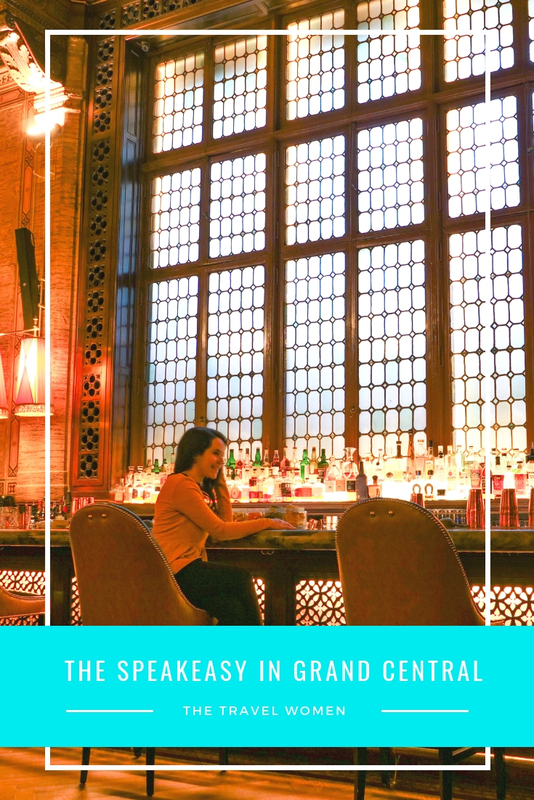 Grand Central’s Campbell Apartment bar in NYC used to be a secret speakeasy that was hard to find but now after its 2017 renovations, the space boasts a new entrance and three separate bar experiences. It is one of my favorite NYC institutions and fittingly has been named one of the “Best bars in America” by World’s Best Bars. Next time you’re waiting for a train in Grand Central grab a drink at this historic NYC jewel. Fun fact: the bar was prominently featured in the Gossip Girl pilot episode! 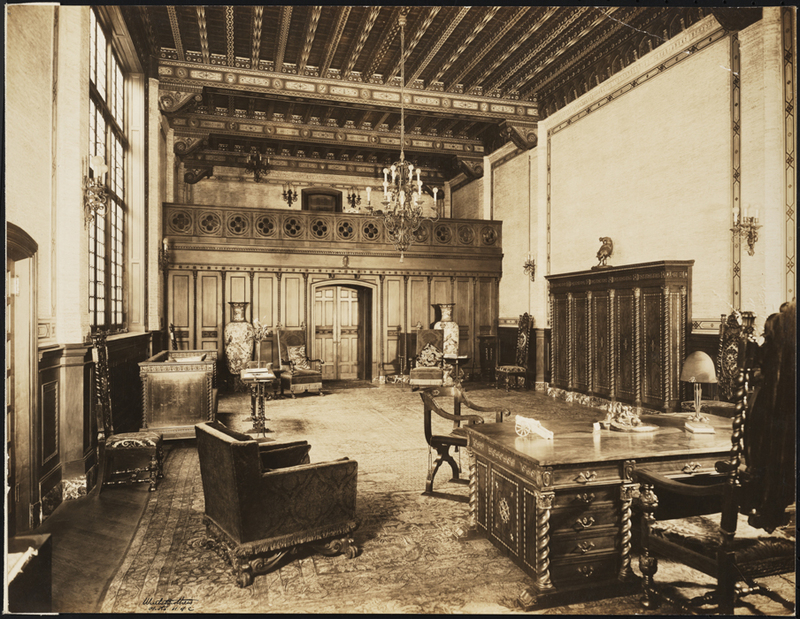 Before being turned into the Campbell Apartment bar, this space was the private office of railroad executive and millionaire John Williams Campbell, who leased the space in 1923. In the world’s largest train terminal, this was the largest ground floor office at the time. Campbell hired Augustus N. Allen to design the space as a replica of a Florentine Palazzo, complete with a fireplace, piano, pipe organ and Roman Renaissance style ceiling. You can even see Campbell’s personal steel safe in the grand fireplace. The 25-foot tall hand-painted ceiling steals the show. Some believe the spacious apartment’s design, including the lotus flowers on the ceiling, was also inspired by Campbell’s Tomb or Chamber in Egypt. John Campbell was born in Brooklyn, he never attended college but instead went to work for his fathers’ firm at the age of 18. He worked his way up to become president of the company and he was an important shareholder of the New York Central Railroad stock. 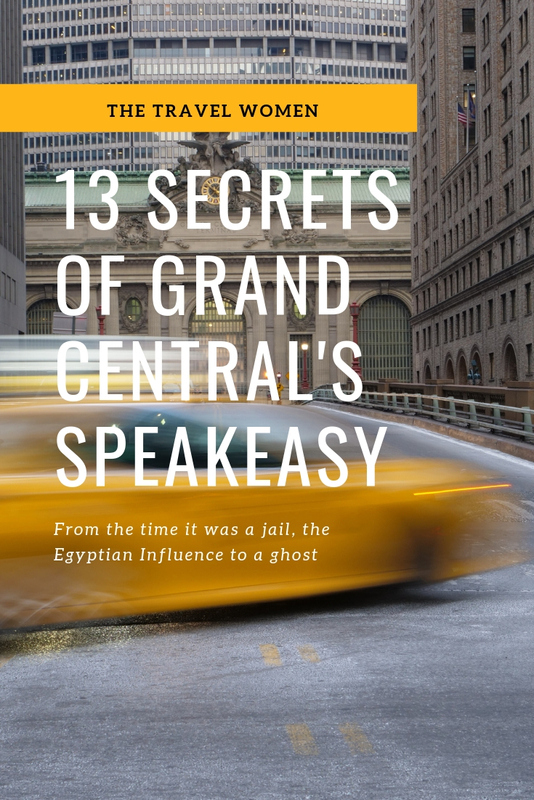 As a financier he should have had his office down on Wall Street, but rumor has it he was talking to his realtor saying he wanted something special in midtown and his realtor jokingly asked, “in Grand Central” and he said yes. As a friend of the Vanderbilts who built the Terminal, he was given this apartment as his office. 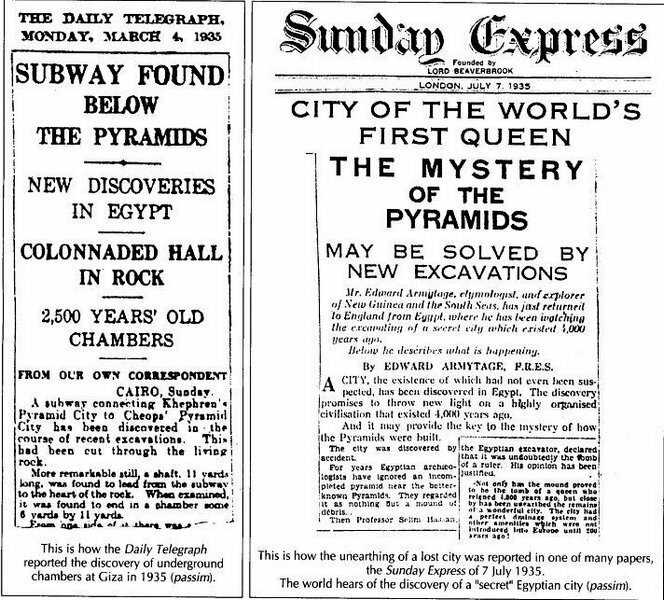 He never lived in the apartment, but he and his wife used it to entertain parties. After his death in 1957, the famous Persian carpet, which would have been worth $3.5 million today, and his other furnishings disappeared from his office. Rumor has it that the spirit of Campbell still haunts the space. Investigations have noted paranormal sightings at the venue and some staff have mentioned weird incidents like cold air, taps from behind when no one there, organ sounds and doors shutting. Paris DuRante, the famous bartender who has worked here for a few decades (you know, the guy with the beautiful mustache) told me he doesn’t believe in ghosts and says he often works here late at night and has never seen a ghost. Before the space became a bar in 1999, it was a police office with cubicles for the MTA police department. The space even served as a jail and the wine cellar as a cell for prisoners! Prisoners took their mugshots at the fireplace. They even stored their guns in this beautiful curio cabinet. 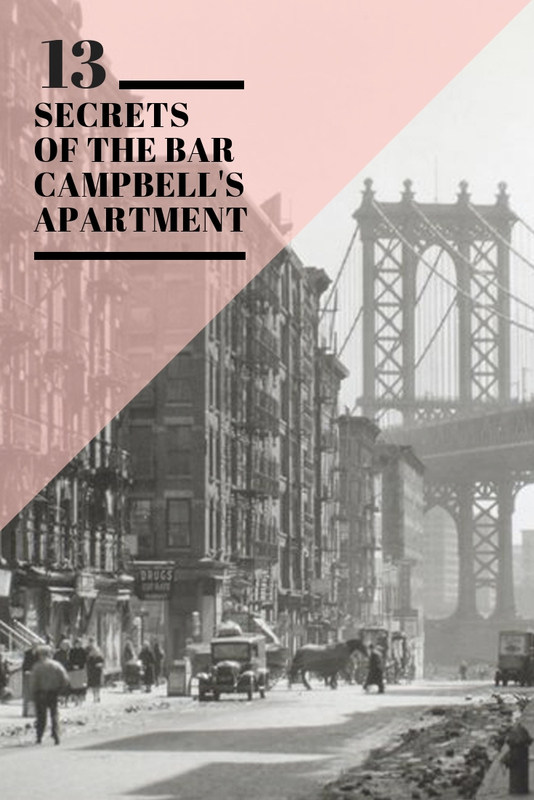 The latest renovations have transformed the Campbell Apartment into a complex of bars simply called the Campbell. The three bars are the Campbell bar, the Campbell Palm Court and the Campbell Terrace, an outdoor covered veranda and bar. There is no longer a dress code and the bar now opens at noon, offering lunch options such as salads, sandwiches and even lobster avocado toast. You can make reservations for groups of two or more. I recommend making reservations a few weeks ahead of time as the space get booked up quickly. Come here at 12 noon when it first opens for the best light and least crowds. Late at night it can get packed. Cocktails can be pricey, at about $20 each, but they are worth it! 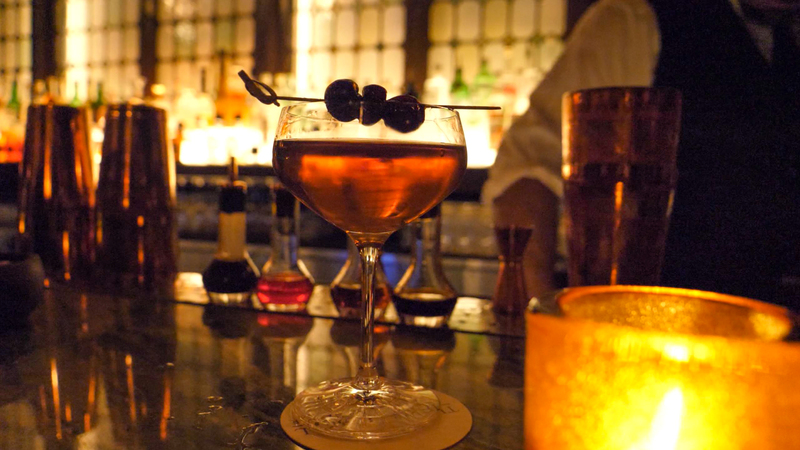 Cocktails include classics like the Negroni, Manhattan and the Old-Fashioned, as well as newer variations. I love the Stackhouse Sour with bourbon, egg whites and lemon juice. 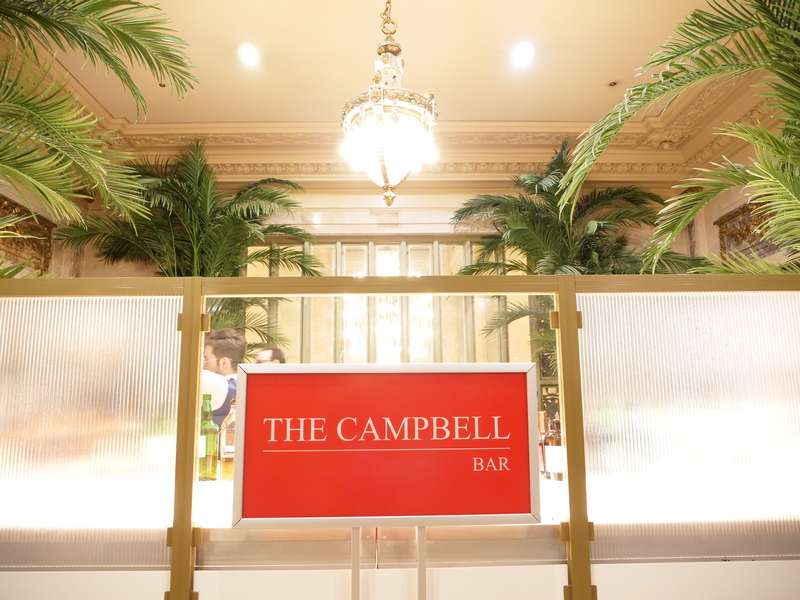 Have you heard of or visited the Campbell Bar? Will you be adding it to your bucket list?